Artransa Productions. 1961. Producer/Director: Alec Ezzard. Music: Tommy Tycho. LP(t) (OP) Radiola. RL 1503. 1961. 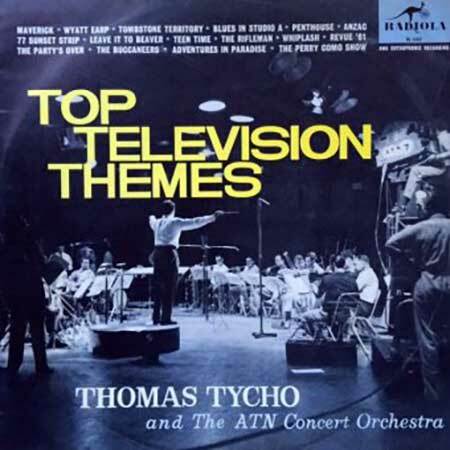 "TOP TELEVISION THEMES". The ATN Concert Orchestra with The Revue 20. Conducted by Thomas Tycho. 03: Dream Along With Me. (The Perry Como Show). 03: Toy Parade. (Leave It To Beaver). 06: Blues in Studio. (The Youth Show).